Welcome. 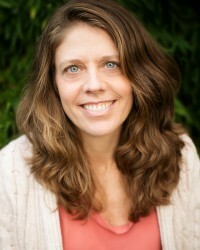 I am a licensed counselor and holistic psychotherapist in Portland, with a doctorate in Clinical and Somatic Psychology. My approach is based in somatic and Process-Oriented psychology, grounded in the body, and connected with you as a whole person. Together, we will work with whatever is going on in you and your life. We will explore what you know, what is yet-to-be-discovered, and how that relates to your health on all levels – body, mind, emotions, relationships, and spirituality. These discoveries will open up pathways for relief, growth, and creative possibility based on the unique guidance within you and your life. I am confident that whatever you are facing contains the seeds of possibility and exact ingredients needed to tap your own wisdom and potential for healing, transformation and fulfillment.